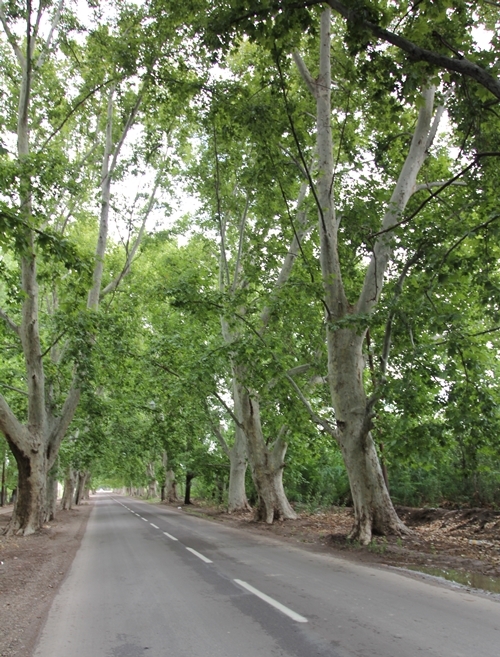 Many of the roads in Agrelo and Perdriel have beautiful rows of old trees. 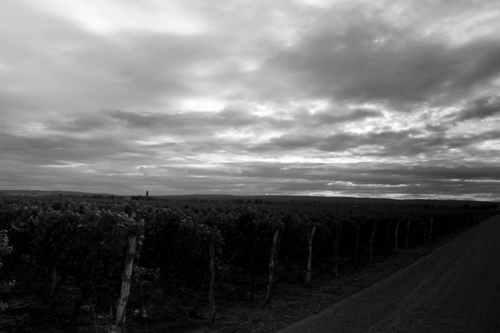 If you contemplate visiting the region, you should drive around to take in the ambience of the avenues, that curve around the many vineyards, and are decorated with some unique old gas lamps. The weather sidetracked from its usual 300 days of sunshine; creating a dramatic scenery and wet roads filled with pot-holes. 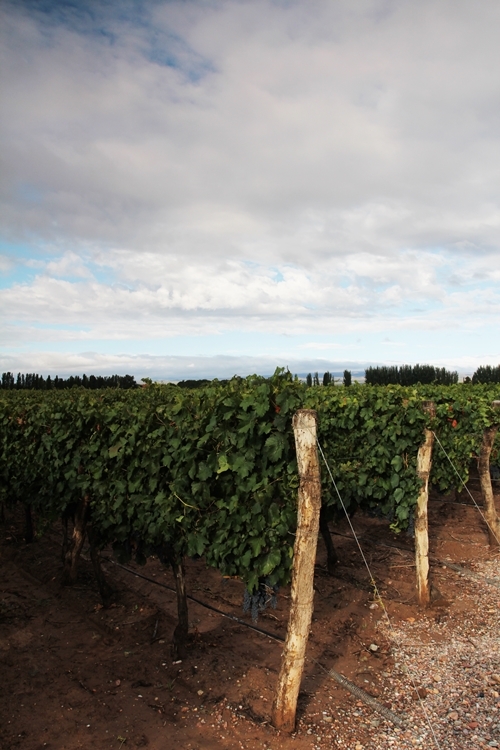 Here we see the sun fighting through the clouds over Catena Zapata. 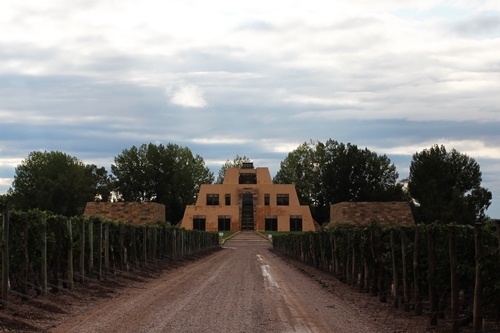 The Catena Zapata Winery is set in a Mayan inspired pyramid of monumental gravity, 35 km south of Mendoza, in the subregion Agrelo. The owner Nicolás Catena is also a doctor in economics, and it was during his visit to the Berkeley University in California in 82′, that he found himself inspired by what was going on in Napa Valley. 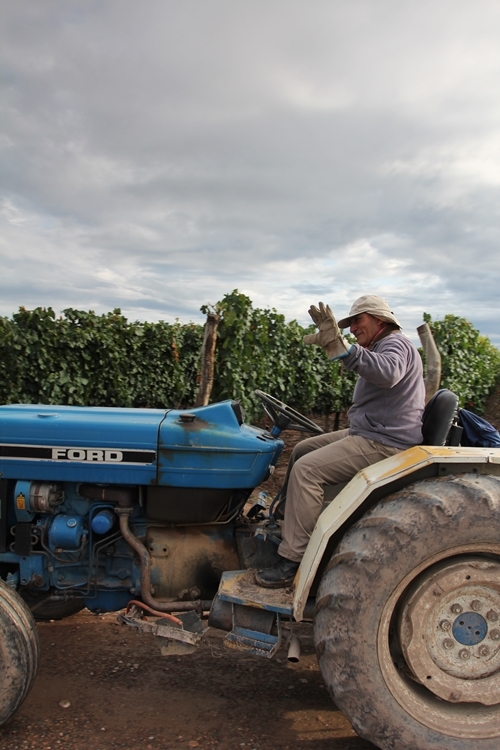 Convinced of Argentina’s own potential, he persuaded his father to do the same, who turned-around their winemaking in favour of quality. 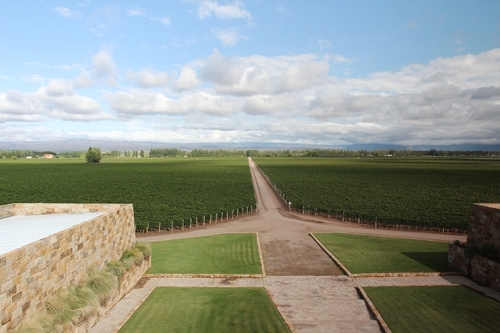 The rest is history and Catena has through more than a decade produced wines that rank among the world´s finest. Here some of the old, almost treetrunk thick, vines that surround the winery in their La Piramíde vineyard. Warmly welcomed by one of the vineyard workers. The surprising architecture. 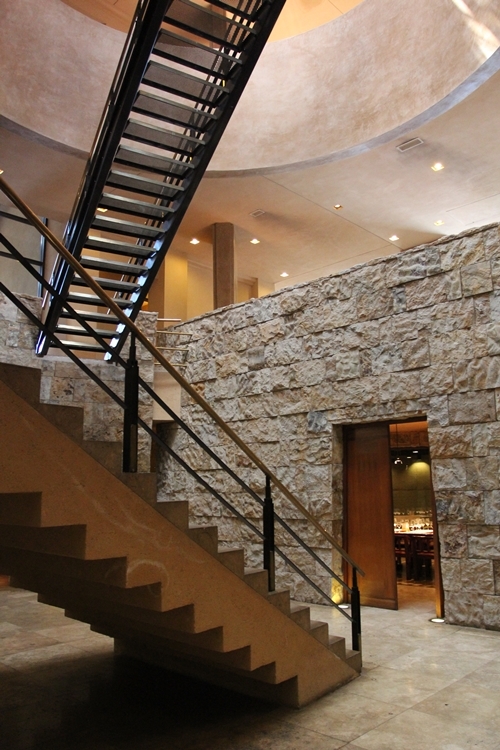 At the heart of their Cellar Door you find the staircase. 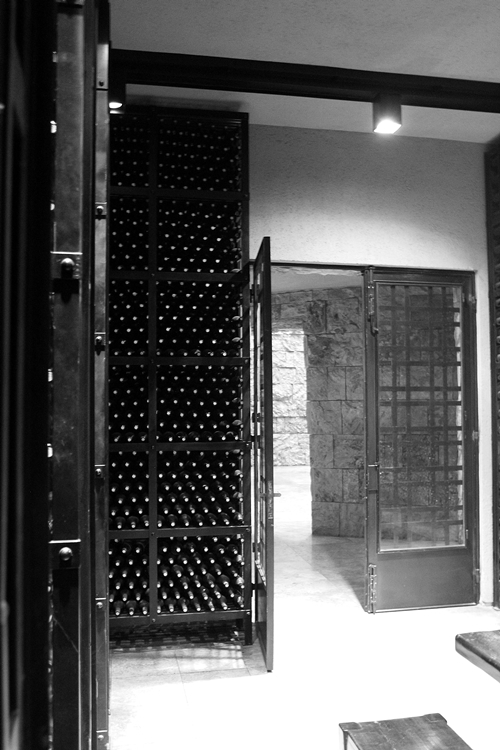 It links the individual floors and sheds light down to the cellar. 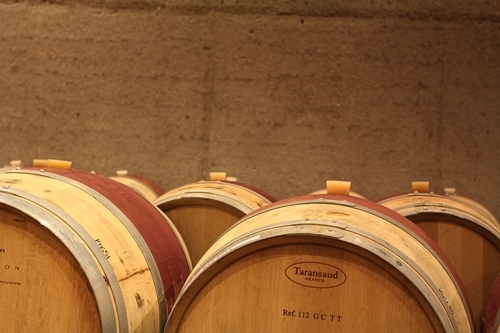 The barrel room is found in the cellar, next to one of their tasting rooms. Here you will witness the team’s tireless pursuit for excellence. The team includes Nicolás’ daughter Laura (now GM) and their winemaker Alejandro Vigil. 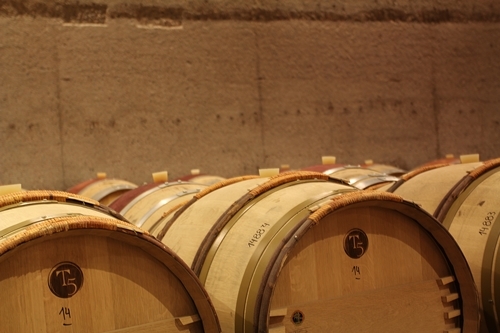 They use many different barrels, and some of the finest French coopers are represented in their cellar. 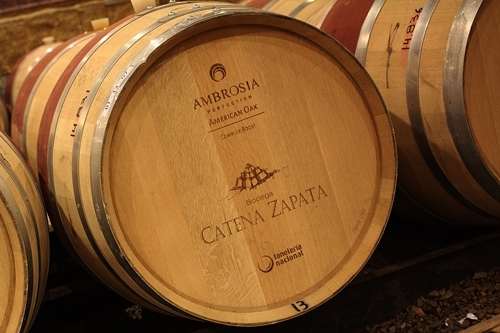 Here one of the casks that is used to make the iconic Nicolás Catena Zapata blend. Their library is also located in the cellar. 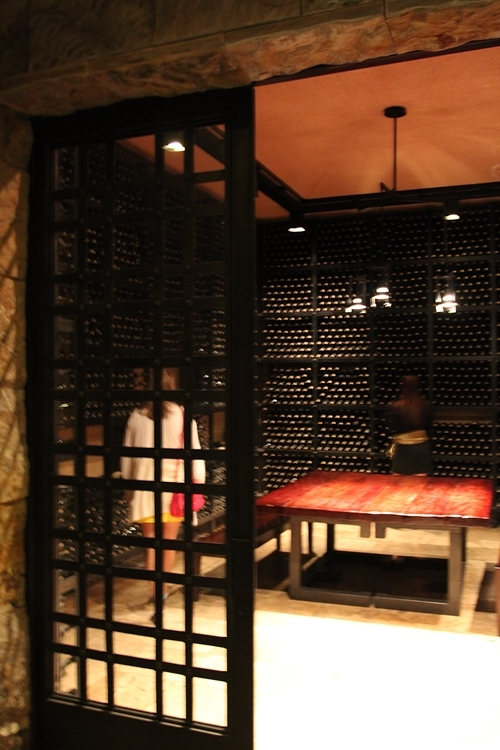 The library holds a complete vertical collection of their finest wines. Here a wine from my own little library. 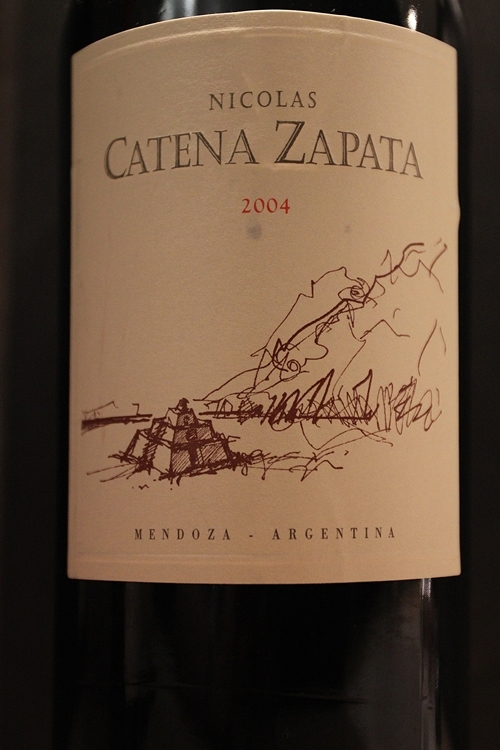 The 2004 Nicholás Catena Zapata was the wine to open my eyes to the quality found in Argentina. The wine has to date been their highest scoring wine, with an impressive 98 points from Robert Parker. It is a blend of 78% Cabernet Sauvignon and 22% Malbec. The wines’ complexity will though make you believe that many more varieties goes into the blend. It is combined from the finest fruit of 3 different vineyards of Cabernet and two of Malbec, aged 24 months on new French oak. Its density is beyond! Extremely pleasing and elegant. 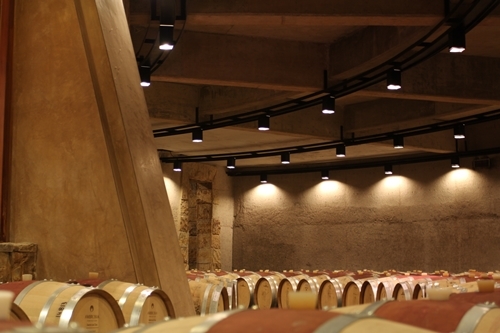 Nicolás Catena was also influenced by Napa, when he first released the blend in 2001. He released it through a series of blind tastings in the USA and Europe. It was compared blind to some of the worlds’ finest including Latour, Haut Brion, Solaia, Caymus and Opus One. It came in first or second in all of them. 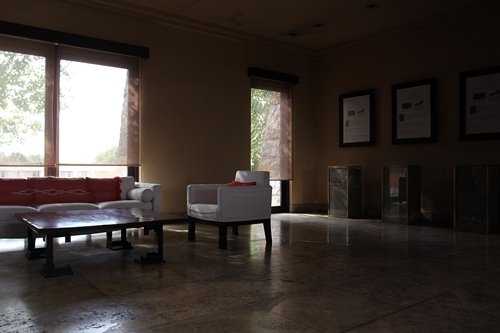 One of several lounges found around the winery. 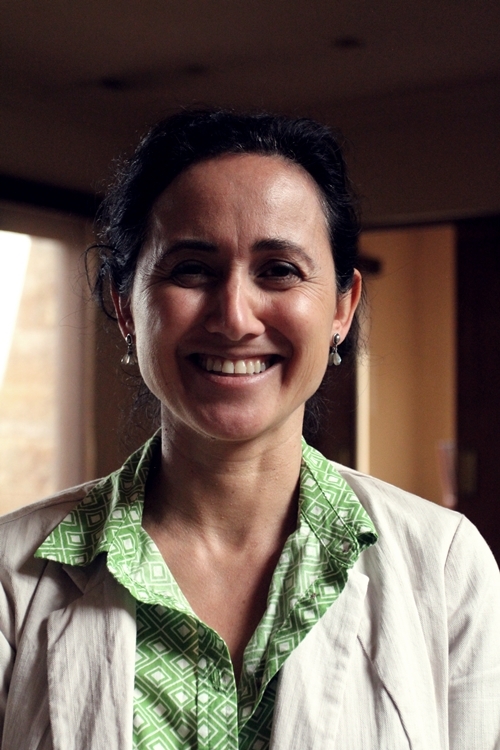 Laura Catena, General Manager of Catena Zapata. Laura is truly inspiring. She lives in San Francisco, and besides her work at Catena Zapata, and at her own wine brand Luca wines (named after her son), she is moreover an Emergency Room physician, and has degrees from Harvard and Stanford. In addition to these duties, and motherhood, Laura has also found time to write a brilliant book on Argentinian wine and its wine country called “Vino Argentino”. A real privilege to meet her during one of her busy visits in Mendoza. 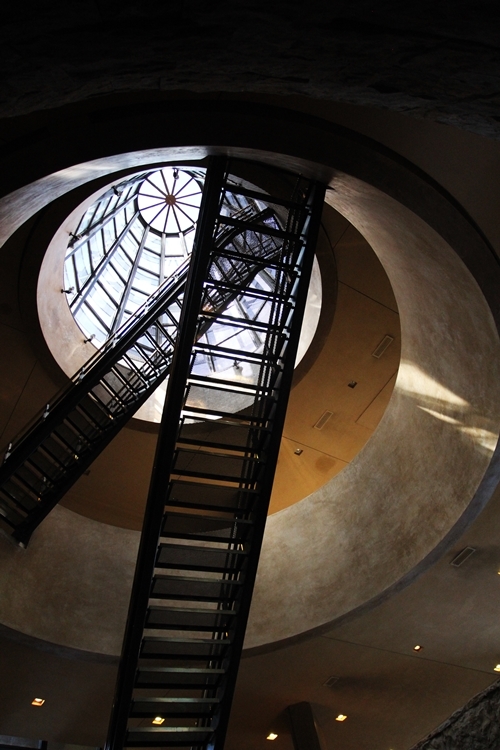 The staircase takes you all the way to the top of their pyramid. Their roof terrace boasts grand views. 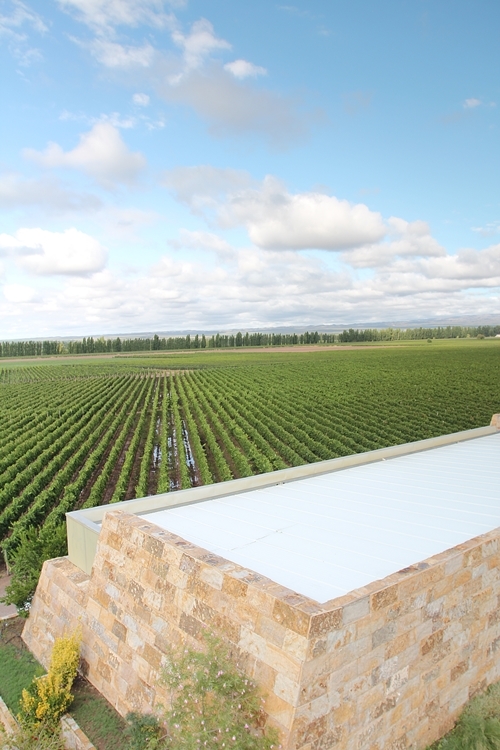 Here a south western view across their La Pyramíde vineyard. The well draining soils could though not hide the extremely wet weather we experienced. The outlook towards the entrance and the Andes. On a clear day, the view is obviously very different. The cloudy skies did though not make it less phenomenal.